After 6 years Jason Pagara tasted another defeat against Hiroki Okada of Japan via 6th round TKO. 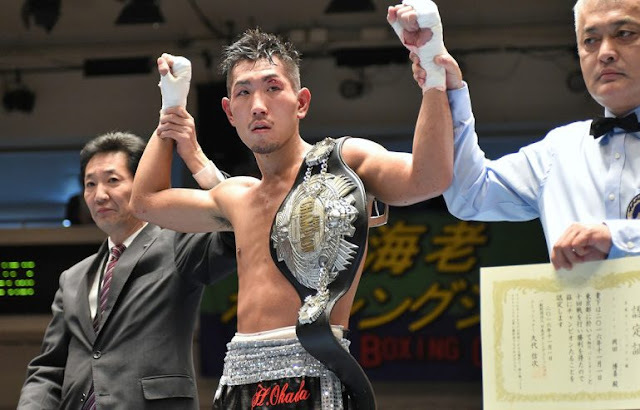 He was 2lbs over the limit and the title was at stake only for the Japanese fighter. Based on the scorecard Pagara never won a single round in the fight, and he was knocked out in the 6th round by the Japanese. Pagara dropped his record to 40(25KO)-3L-1D while the Japanese improved his record to 17W(12KO)-0L. Hiroki Okada won the vacant WBO Asia Pacific Super Lightweight Title. now gunning for a world title eliminator. Meanwhile, in the undercard, another 2 Filipinos were defeated by the Japanese, Yuta Nakagawa KO'ed Marquil Salvana in round 4 and Ryota Yamauchi knocked out also Lester Abutan in round 4. Fight happened December 19, 2017 at the Korakuen Hall, Tokyo Japan.